In his first season as an NFL quarterback, Peyton Manning won three games and threw more interceptions than touchdowns. Manning would prove resilient however, adapting to the pro-style game very quickly. In eleven of the next twelve years the Colts would go on to win at least ten games per season, and make the playoffs each of those seasons. What’s Manning’s secret? Most football experts would say it’s his ability to “audible” or adapt, no matter what circumstance he finds his team in. Being able to easily and automatically adapt is a critical key to survival and success. It’s true in sports, nature, business, and yes, web development. If a user is browsing from a mobile phone, they generally don’t have a lot of screen real estate to work with. 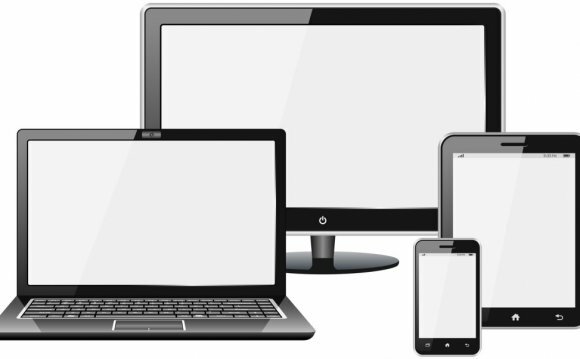 Phones today will typically zoom out automatically, so that the entire website can be seen onscreen. This can be good, as it gives the reader access to the entire sight, but it can also be frustrating when trying to find information that is located in a tiny part of the upper right of the screen. If you could move some things around, make some things bigger and not have as many columns you’ll give your mobile reader a much better experience. If you own a restaurant and a potential customer is browsing your site from a mobile phone, chances are they aren’t that concerned with how pretty your site is — your foody blog with the awesome slideshow of delectable dishes scrolling from side to side isn’t very useful in that situation. They want to know what your hours are, where you’re located, how to make reservations, and want a look at the menu. Mobile responsive design takes care of this all “on the fly”, and without multiple versions of your site to maintain. All of this may be new to a lot of you, and fairly intimidating since it requires not only a change in code and design, but in your overall web strategy and philosophy. Thankfully, the team at StudioPress has their capes on and is here to help you out. If all that is not your cup ‘o tea, we’ve created several themes that are responsive out of the box. You can view them (and purchase them) below. It is revolutionary for online publishers, because (for most) responsive design eliminates the need for multiple versions of your site, or exspensive app development and maintenance.